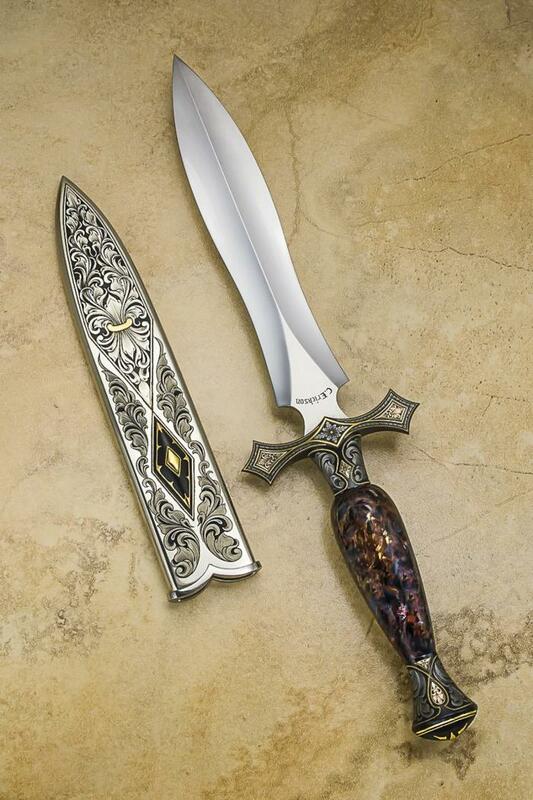 This is a Curt Erickson Original design dagger with a very premium grade Pietersite gemstone handle. Fittings are gunmetal blued with gold inlays and engraving by Master jUlie Warenski-Erickson. Full metal sheath with blued button.